Given the reinstitution of Donald Trump’s “Travel Ban 2”, this might be a good time to recall the 1976 film “Voyage of the Damned”, directed by Stuart Rosenberg based on the book by Gordon Thomas. 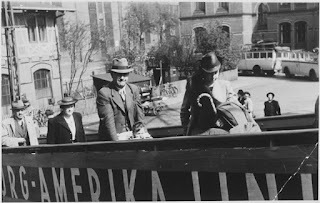 The long film (155 minutes in theaters, 182 in video reissue) traced the voyage of the MS St. Louis, which departed Hamburg in May 1939 with about 937 passengers, mostly Jewish refugees, on what turned out to be fraudulent papers issued in Cuba. The ship, when turned away from Cuba (after joyous passage) after allowing only 29 passengers to disembark, tried to head for Florida (where FDR, not yet fully appreciative of the Nazi threat, turned them away) and then Canada and then the UK (which took over 200 passengers) before returning to Antwerp. It’s estimated that over 200 refugees would die in Nazi concentration camps, many in Poland. Stars included Faye Dunaway, Oskar Werner and Lee Grant. I remember seeing the film around Times Square (I was living in Manhattan) a few days after Christmas 1976. The film was distributed by Avco Embassy in the US (a quasi indie company then) and J. Arthur Rank in the UK (well established in European films in earlier times). Wikipedia attribution link to P.d. 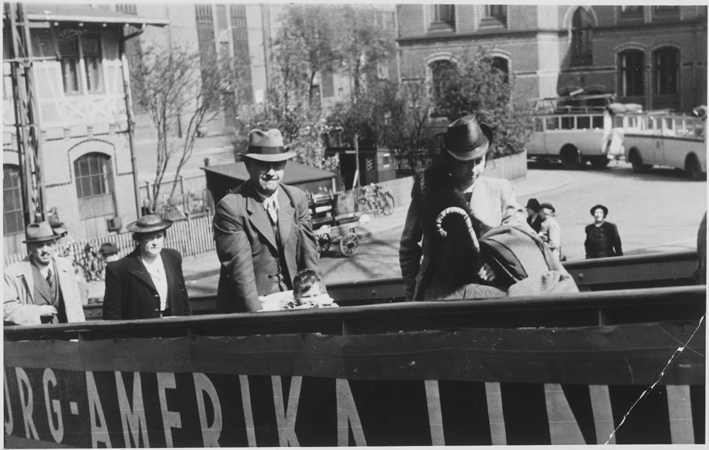 picture of boarding in Hambrug taken in 1939. I have visited Hamburg once, in 1972.